Get your flu shot!! Oh crap, that didn’t work…Get your flu antiviral! Is anyone out there connecting the dots?? This year Fluzone and EVERY “health” department in the US ramped up their efforts to get every man, woman, and child a flu shot. They offered them almost for free on the doorstep of every pharmacy and work place. They put it on billboards, the radio, and TV. So why are we now close to an epidemic of flu outbreak? Because, like I said in this post, FLU SHOTS DON’T WORK. Why does anyone think it is a good idea to put the virus plus a whole bunch of very toxic chemicals into your blood stream, effectively killing your immune system? Why not focus on doing everything you can to strengthen your body to fight the virus when you finally come in contact with it. Same goes for the antiviral. The concept of vaccines are great. Inject the virus so that your body can learn to fight it off. Except that they are never sure which strain of the virus you will come in contact with and they mix it with lots of fun stuff like aluminum (thimerasol), antifreeze, bleach, and embalming fluid. Do you think that stuff helps your immune system? Really? 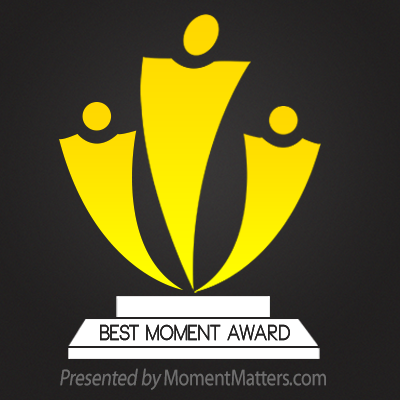 Click here to read the CDC dancing around all the variables that make the shot useless. Update (1/22/13): If you’re interested in a scientist’s research and opinion, please check out this article by Dr. Mercola. Now, I have to admit, I got the flu. I had a fever, sore throat, sneezing, and coughing for three days. 36 hours. Five days later, the runny nose and coughing continues but now I’m coughing up some yellow stuff (sorry for the sordid details) because the crap that grew in my lungs is clambering out. I’m healing. Most other people I’ve talked to had the severe symptoms plus stomach issues for multiple weeks and the less severe ones for several weeks after that. I gave my body a chance to fight and it’s doing just that. I’m the very proud owner of a healthy body. Ok, so now I’ll step off my soap box. If you didn’t get the flu shot, great job! If you did, just don’t do it next year. Please? For both healthy and not so healthy people, here’s how I dealt with the symptoms (even the severe ones) well enough to work 10 hour days. 1. NO MEDICATIONS. None. No Tylenol, no Advil, no cough medicine, and especially no anti viral like Tamiflu or Relenza. 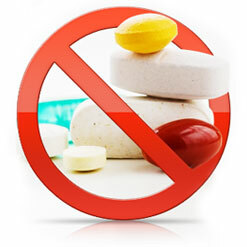 Regarding the over the counter drugs, dulling your symptoms is never a good thing. Listen to your body. If you’re tired, get some sleep, if your nose is running or you’re coughing, your body is trying to get rid of something, please just let it. And regarding the anti viral, the list of complications is SO much longer than the list of potential benefits. See here for what the CDC has to say about that. If you body can learn to fight off this one, it will have a better chance of fighting the next one. 2. DRINK WATER. 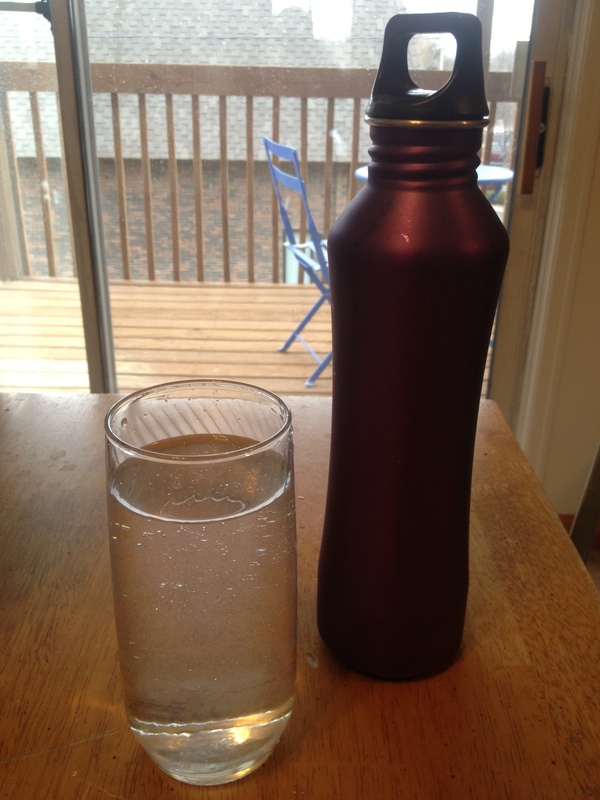 Keep a water bottle near you at all times. Constantly be drinking from it. You should be peeing about every half hour. I’m not joking. Give your body the conduit it needs to flush out those bad cells. I can’t stress this one enough. 3. 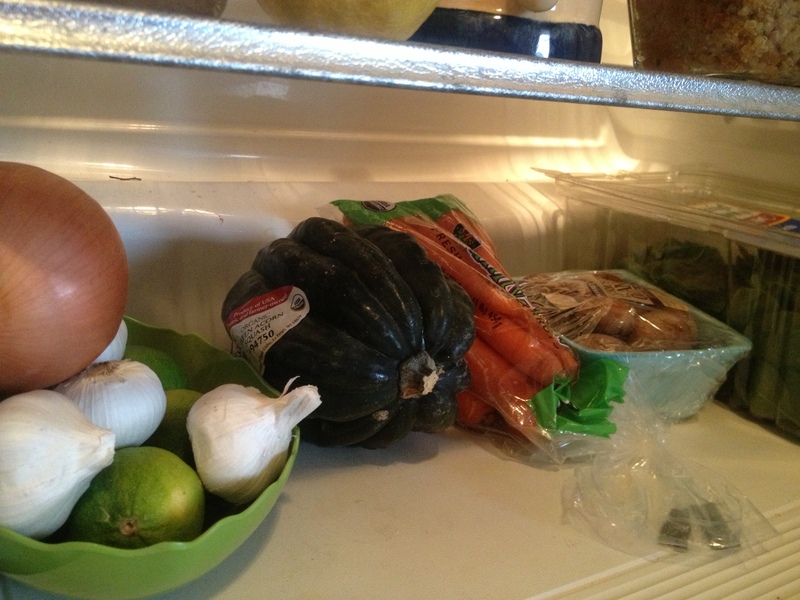 LOTS OF VEGETABLES. Eating a diet of mostly veggies has never been more important. Eat a varied diet of dark leafy greens (like spinach and kale), aliums (like onions and garlic), root veggies (like carrots, beets, and sweet peppers) and every other kind of veggie (like mushrooms, zucchini, and squash). Eat as many as you can in their raw form but if you get bored with that you can roast them, make them into soup, or even into pancakes! Cooking while you’re sick is no fun so make everything in big batches. 4. DON’T FORGET THE FRUIT. Keeping sugar out of your diet is really important right now but so many nutrients and immune strengtheners are found in fruit. 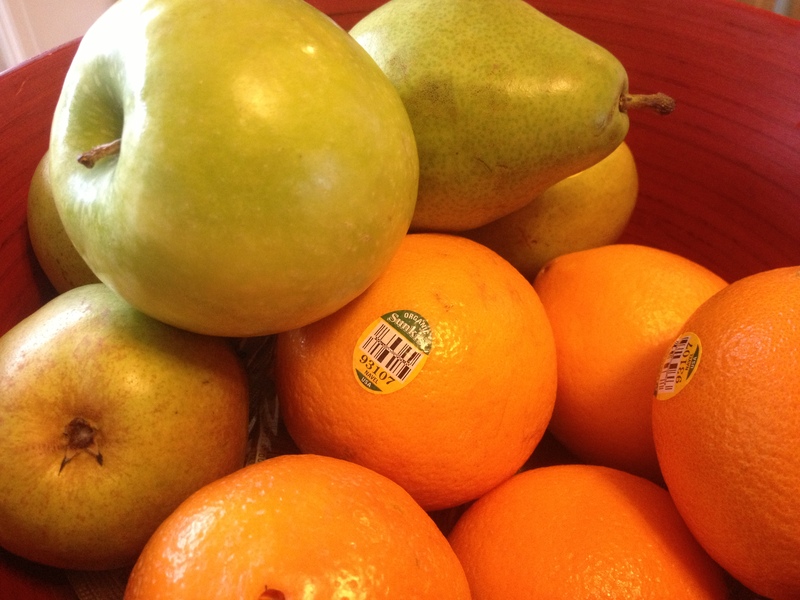 Try to stick to fruit that is low in sugar but high in good stuff like Vitamin C and antioxidants. Eat oranges, granny smith apples, and all kinds of berries. 5. KEEP THE CRAP OUT. Completely eliminate dairy, refined sugar, red meat, and grains (including oats, rice, and bread) from your diet. Your body has to work extra hard to process that stuff and right now it needs all its energy to fight a virus. Definitely still get in your protein and healthy fats with things like beans, nuts, and organic poultry but cut out everything else. 6. 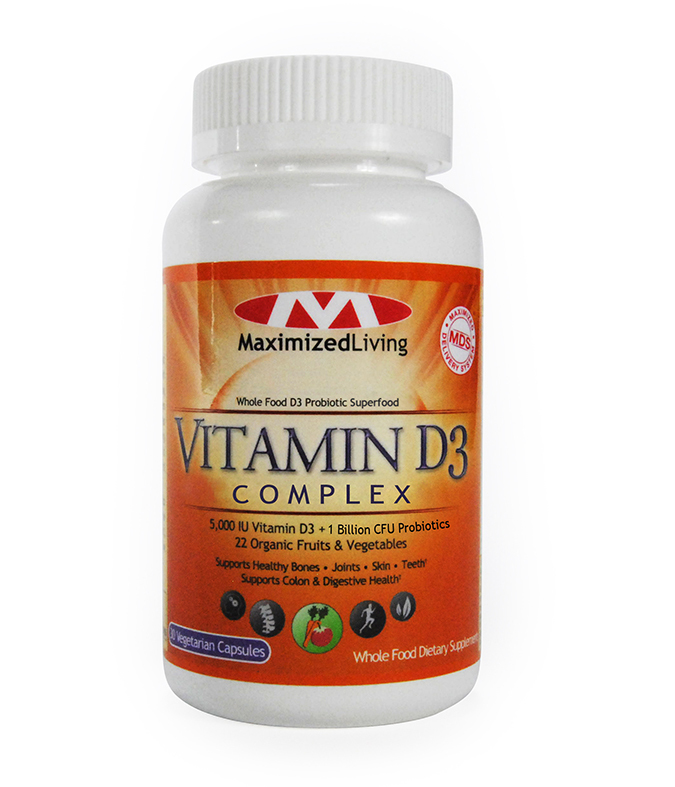 VITAMIN D. Vit D3 is one of the most necessary and under-appreciated vitamins in the human body. We aren’t outside to produce it even close to as much as we should be. I am all for getting your nutrients from your food but this one is very very hard to get without being outside all day. So find a cleanly sourced brand and take a very high dosage. About 10,000 IU. Yep 10,000 every single day. You will be amazed at the results. 7. HOT TODDIES. Add a Hot Toddy to your pre-bedtime routine. My mom taught me this one and it works like a charm. Stir together boiling water, the juice of half a lemon, a tablespoon of honey, and a tablespoon of whiskey or bourbon. 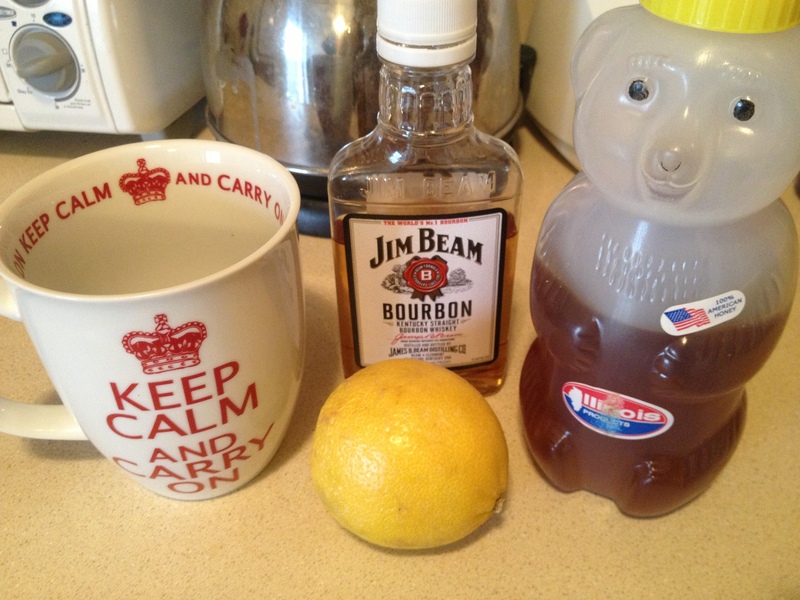 The lemon disinfects your throat, the honey soothes it, and the whiskey makes you sleepy. And it tastes and feels SO good. 8. STEAM YOURSELF. 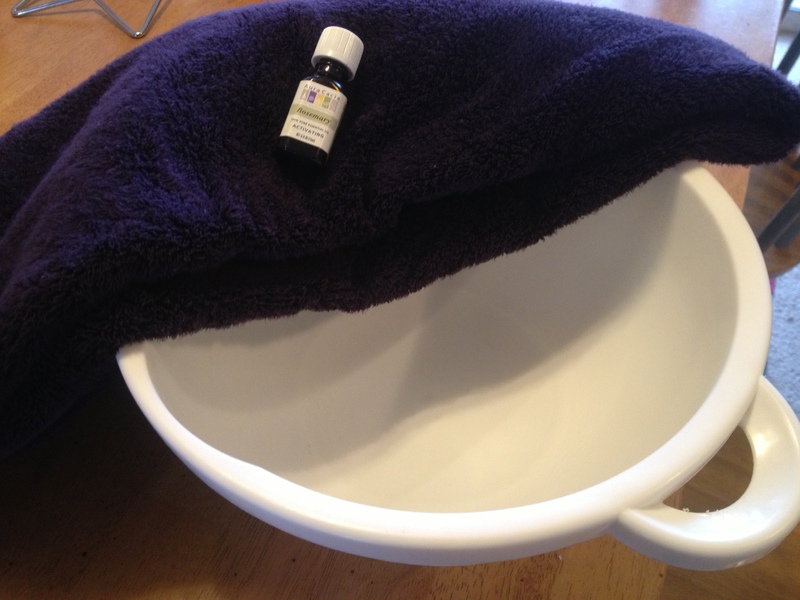 Take a hot bath before bed to loosen up your congestion and your muscles. If that nose still won’t come unstuffed, do an intense steam. Add some rosemary extract and boiling water to a bowl. Put your head over the bowl and then a towel over your head and the opening of the bowl. Breath deeply taking breaks whenever you need to. Keep the towel on until the steam stops flowing from the water. 9. HUMIDIFY. 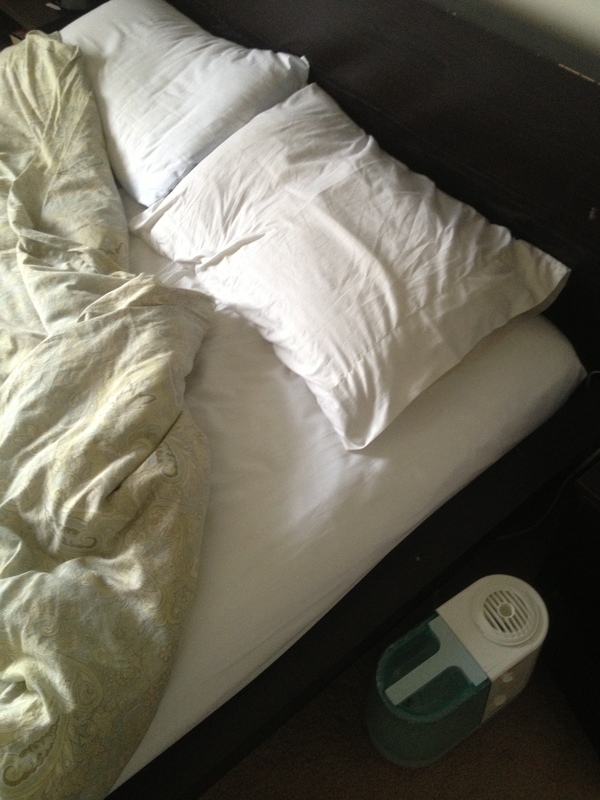 If you have a humidifier, put it right next to your head when you sleep. It will counteract the dry winter weather and keep you from coughing the night away. 10. SLEEP. Lots and lots of sleep. Cancel your plans and go to bed at 8:30. Sleep in. Sleep all weekend. Take naps. Anytime you’re asleep, your body has a chance to repair itself. And isn’t it awesome to have an excuse to sleep all day anyway? Eating, sleeping, and drinking like this is hard. Seriously hard. You have to do every single step in order for it to be effective. I’ve been doing it for 8 days now and will continue to do it until I’m back to 100%. And while it’s difficult and frustrating at times it’s better than skipping work or school and feeling like crap all the time. A runny nose and a cough is infinitely more appealing than being bed ridden for two weeks. Regularly take, high-quality doses of animal-based Omega 3. Eat natural antibiotics like oil of oregano and garlic. Why don’t you just try this? What do you have to lose? This entry was posted in Fitness, Nutrition and tagged CDC, Centers for Disease Control and Prevention, Flu, Flu Symptoms, Fluzone, happy, health, Influenza, Influenza vaccine, life, Vitamin C, Vitamin D, Wellness on January 10, 2013 by ahappylass. Great Advice!! We have started making blue berry / spinach / Kale smoothies…..taste great and an easy way to get those dark green veggies!! Hopwood! 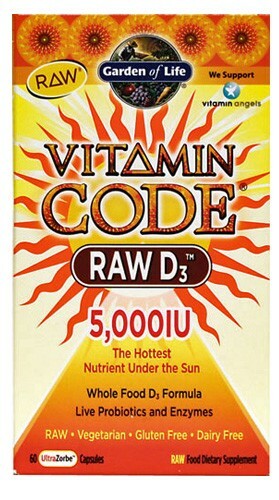 I just started taking Vitamin D 5,000IU once a day, and after a week I don’t really feel much different yet. BUT, I like the idea of eating sunshine, and will continue doing so until I feel super good. I got a flu vaccine in november and am pretty sure i am about to get nailed full on by the flu because I’ve felt poopy for several days now. Ironic how that happens. In past years, I never took the vaccine, and I think i was pretty good. Why no red meat or dairy? I am trying bulk, do I have to put that on hold when I am sick? Does it really take your body that much energy? And I’m going to make myself a hot toddy tonight… I am excite. Phil! Thanks for the comment. First of all, according the most studies I’ve read, you need to be taking 10,000 IU of Vit D. Especially during the dark winter days and when you’re getting sick. Once you feel 100% better you can drop it back down to 5,000. Try that. And, make sure you’re eating it immediately before your biggest meal of the day. It increases it’s effectiveness ten-fold. And make sure you’re source is pure, unheated, and preferably raw. The brands I have photos of above are fantastic. If you’re taking a supplement, it might as well be absorbed to it’s full potential. You definitely don’t have to pause the bulking up when you’re sick, just be more cautious about how you’re doing. DEFINITELY no dairy. It promotes mucous production thereby making congestion, runny noses, and sore throats even worse. When you get back to milk, make sure it’s organic for the same reasons I mentioned with the pure Vit D. As far as red meat, I understand not wanting to pause that. Most people eat generic, corn-fed beef. That stuff is awful. It’s full of artificial antibiotics and hormones that mess with OUR hormones. If you’re going to eat it, buy grass fed. The bad news is that it’s pretty expensive (which is why most people don’t buy it and why I just tell people not to eat it). But if you love it, please stick to grass-fed. You’ll get so many more benefits from it. Yup, Flu shots are for the birds. Could not have said it better myself. Thanks for sharing all your tips and insights. I love reading and using them! Alana, thanks for the comment. I am a firm believer in your body healing itself first and then natural remedies second. There have been lots of times when my wellness pharmacist has saved me. Keep on truckin’! Eventually the tide will change. Since you asked me to…. Herd immunity is the idea that if enough people in a community are vaccinated, they can break the spread of disease. In addition to making you less likely to GET the flu, you’re also less likely to pass it on if you’ve gotten the shot. So if Ashley isn’t immune, she can pass on the flu to whoever she comes in contact with (which you might have, since you already had it). This probably isn’t the end of the world, as you don’t interact with the very young or the very old or the immunocompromised. But if enough of your herd (Peoria) decided that you were right and flu vaccines are stupid and don’t work, then the flu spreads unchecked, including to those aforementioned high risk groups. If you need a less general support of the vaccine, I spend 8-12 hours a shift getting coughed on by sick kids and have been exposed to confirmed flu (in close contact w/o a mask) at least 4 or 5 times this winter that the infection control people know about. No flu yet. Herd immunity is based on the flu virus actually working. How could scientists, early in 2012, determine which strain of the virus would hit this Winter? It seems that with the larger outbreak this winter, they were wrong. So all those vaccinations were likely the wrong flu strain anyway. And let’s say it was the correct strain, how could we eradicate the virus by injecting it into people who’s immune systems are compromised in the first place: the average American with the Standard American diet? Read the comment above you for a direct testimony of someone who got the shot and is now getting sick with the flu. This happens all the time. Whether they get it from someone else or from the shot itself, doesn’t it mean that we can never get rid of it? Unless we give each person the super immune system that results from a great diet, regular exercise, and overall care for their bodies, they have no chance of fighting the virus in the shot or the virus circulating the community. I would argue that you haven’t gotten the flu yet because you are very healthy. You exercise frequently and have a pretty good diet (I think, aside from the Penguin pizza 🙂 ). You clearly have a strong immune system and that’s awesome. But most people are not in your position. I don’t know if there will ever be a clear answer to this argument. People are going to keep on doing what they feel is correct. But if there is going to be so incredibly much publicity in favor of the shot, I’m going to do everything I can to make sure that people are informed about the other side of the argument too. I got the flu shot as I’m required to at work unless I want to wear a mask during flu season which is fine too. I have not (knock on wood) gotten the flu. Doesn’t seem to be a good consistency to who will get it either and no I don’t think being healthy and eating healthy has anything to do with it. Sure I work out and I eat ok but not the greatest. What do you mean your Mum told you about the hot Toddy,it was yout great grand father on your Mum’s side,the real Paffe— love you my Darling Girl. 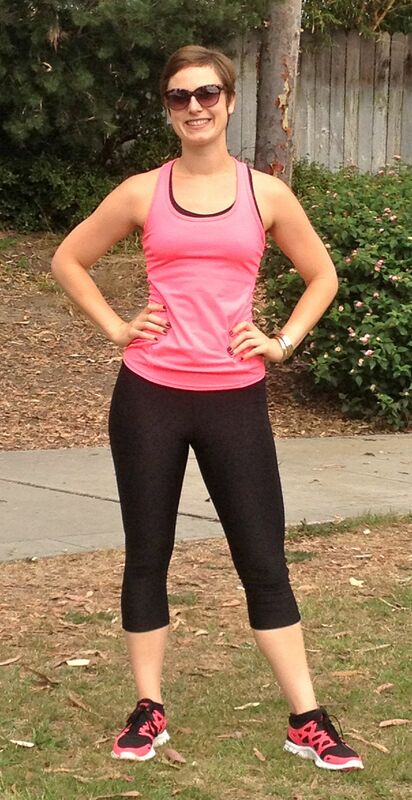 Great advice Ash, we have started making spinach, kale, and blueberry smoothies….great way to mix in those greens! Thanks Dave. Those smoothies sound so good. See if you like the taste of a pinch of cinnamon in them, it does great things for your cholesterol and blood sugar levels and actually tastes so yummy.